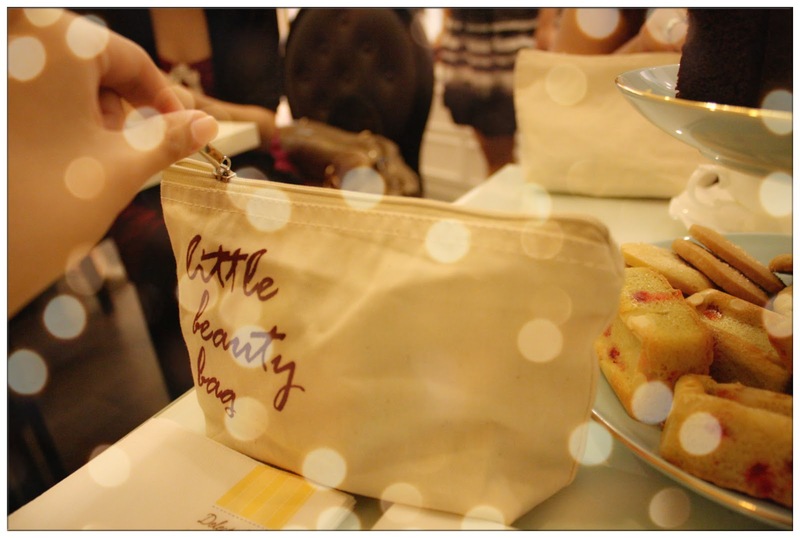 It was one of the most girlish afternoon I can ever recalled, an afternoon with girls dressing up, cakes, lollipops, and skincare beauty goodies zipped up in a lil bag prepared with love. 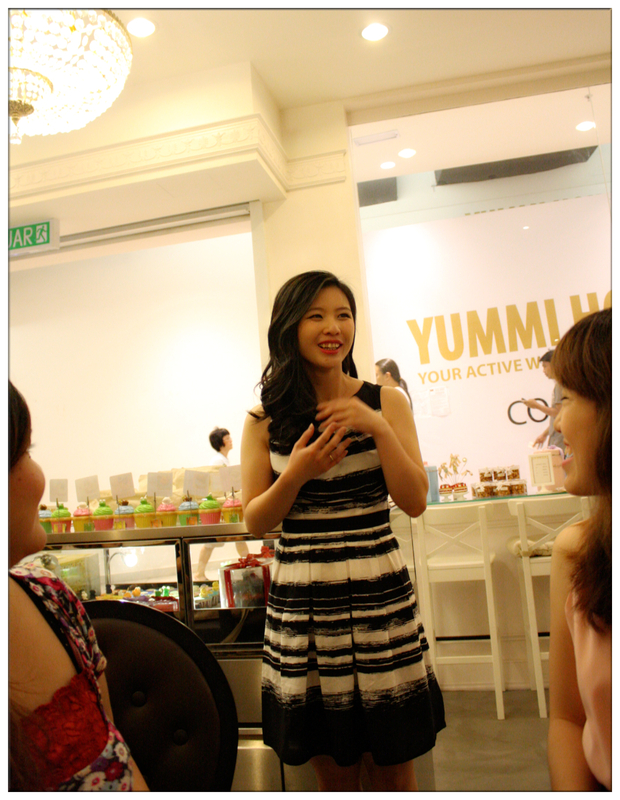 Thanks to Bag of Love, Delectable Treats from Delectable by Su, The Butterfly Project and Tammy for the arrangement, 50 bloggers were invited to the Bag of Love Unzipping Tea Party. 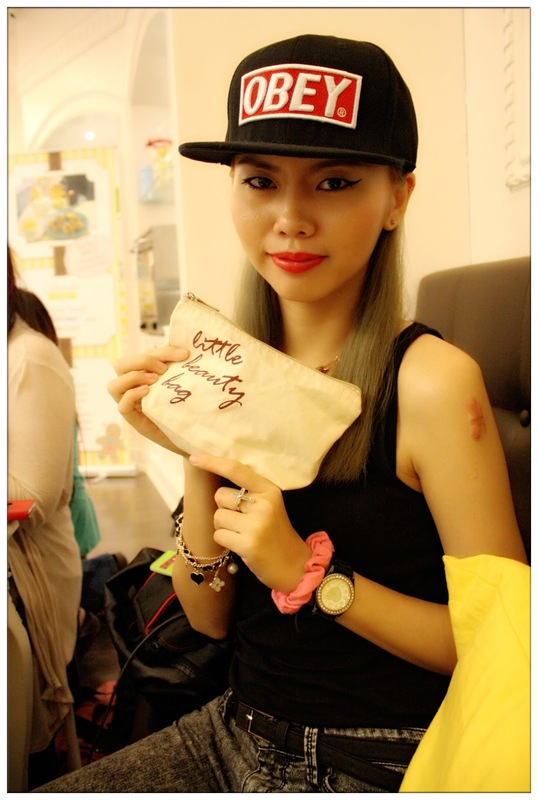 The very first unzipping event for beauty 'box' held at Malaysia. Super love all the lovely decorations in the shop. These, are sponsored by none other than Tammy! 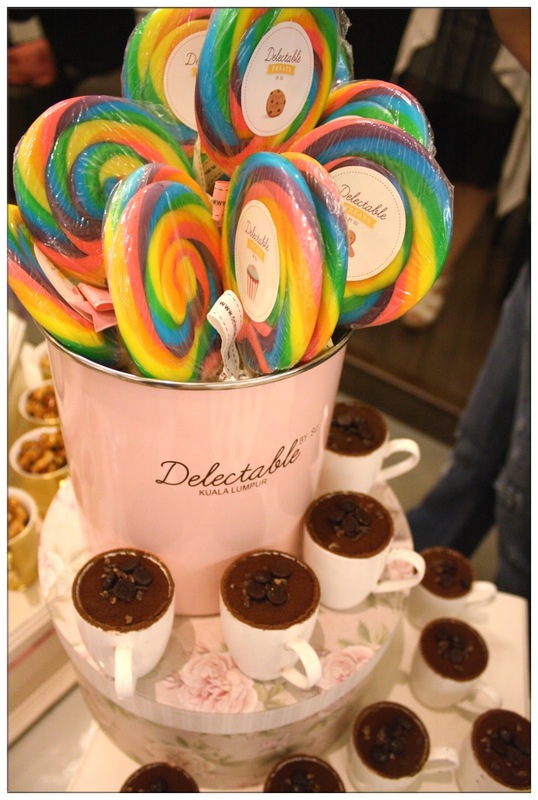 One lollipop for each of us and there are Seven Sins of Chocolate in mini size. 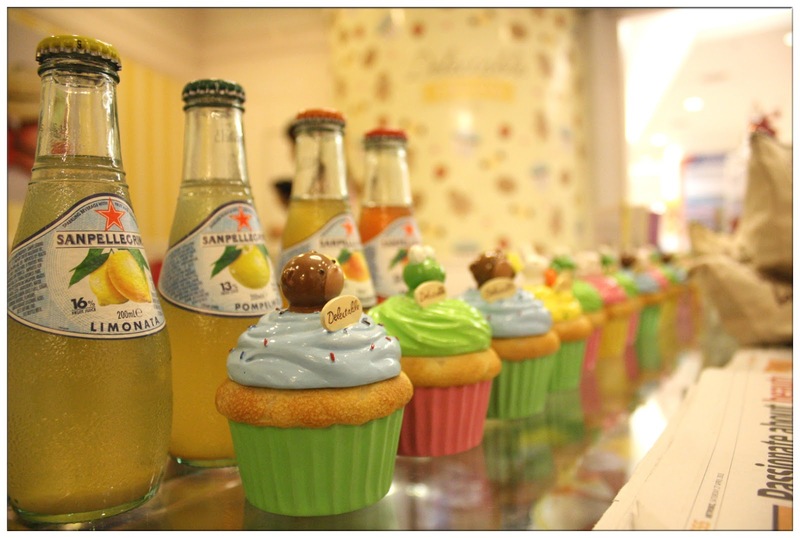 I wish I can have one right now. 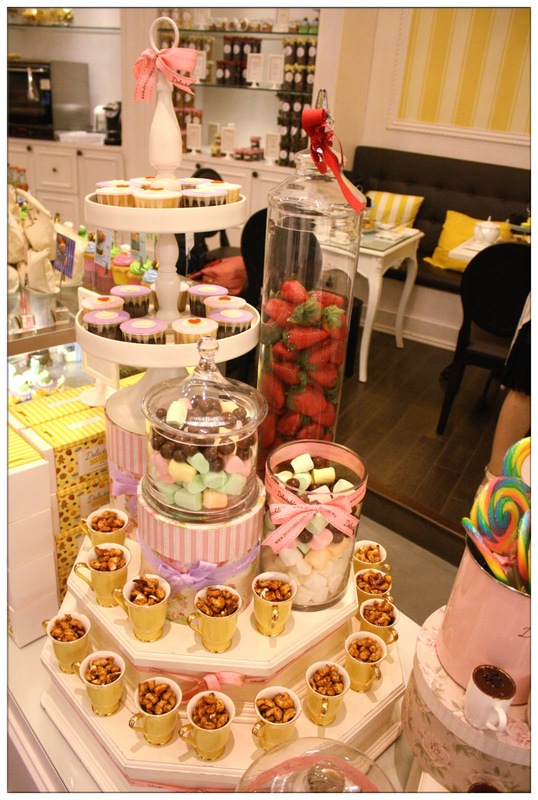 More desserts - cupcakes, nuts, marshmallows and chocolate balls. If it wasn't for the passion of sharing stuff about beauty and skincare, the passion of blogging, this tea party wouldn't been organized and Tammy's generosity really inspired me alot. She is one role model that I look up to in this blogosphere who constantly give instead of receive, just like this tea party, she sponsored the party package, pay from her own pocket. I'm really touched by her generous act. Same goes to Mimi, the founder of Bag of Love. 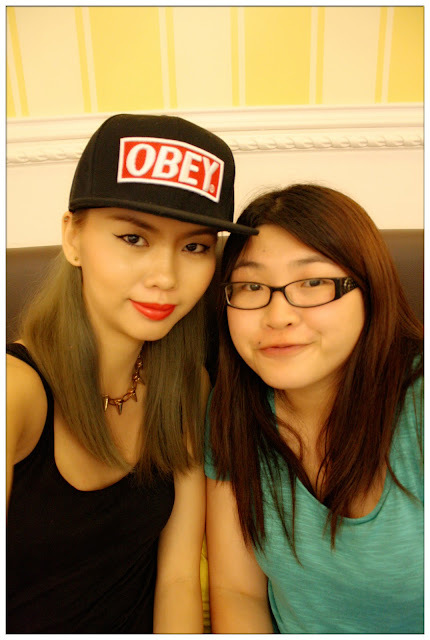 Her passion about beauty, skincare and wanting to share with people around her has made her start the Bag of Love business. It is the love of being beautiful and the heart of sharing that drives the former-beauty-magazine-writer to making her dream come true. On that very day of the tea party, Mimi was featured on the newspaper. Giving a short introduction of the days programme. Here starts the unzipping ceremony of the April version's Bag of Love. TADAA!!! 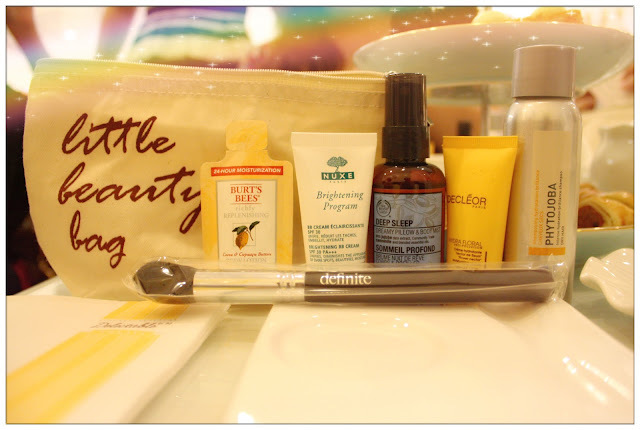 These are all the beauty goodies that can be found in April's Bag of Love. And yes, you see it right, there's a brush included!!! Same concept as beauty boxes, but in a bag (what can we do with all the boxes anyway right?). 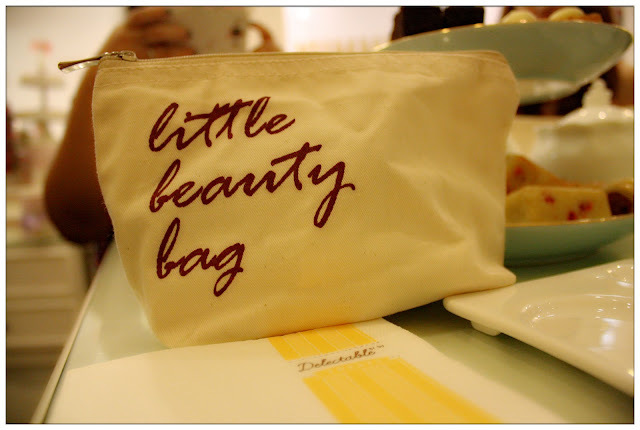 Each month different design, Bag of Love shares beauty and skincare products which Mimi found good and useful. Different design of bag each month, each selected and packed by the full-of-love founder, and then send to their respective subscribers. 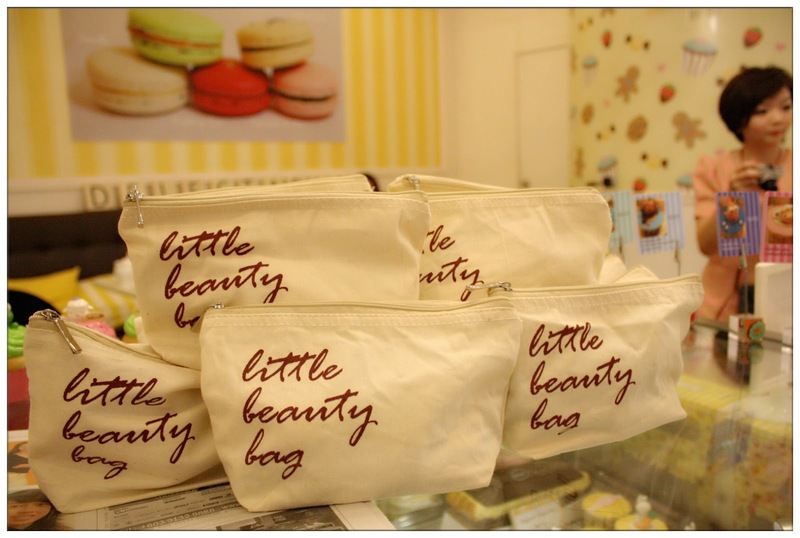 So far, the response to Bag of Love was tremendous that the first and second beauty bag were completely sold out! As promised by Mimi, no sachets will be found inside these beauty bags as she knows how it feels when subscribers paid but only receive sachets. All the products that she includes in each month's beauty bag will be deluxe sample size/travel size item. 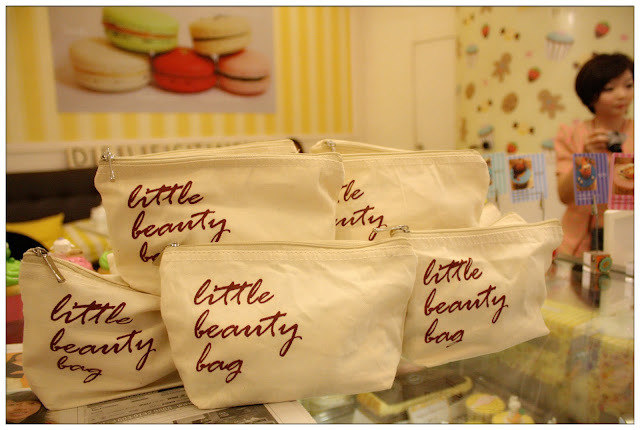 Now that's what we called: A beauty bag that's prepared with full of love. 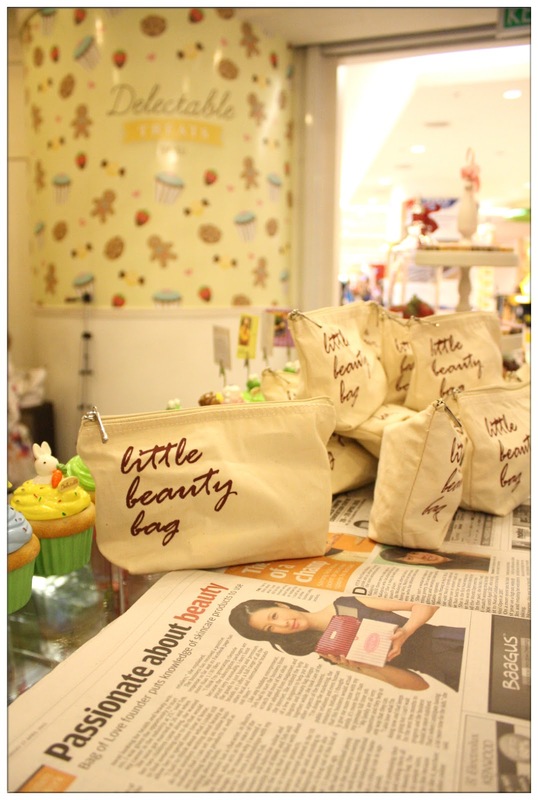 In conjunction of Earth Month, April's Bag of Love design is eco-friendly with no chemical bleach. Say yes to loving the earth beauty lovers! As aforementioned, the beauty bag unzipping tea party took place at Delectable Treats, Paradigm Mall. 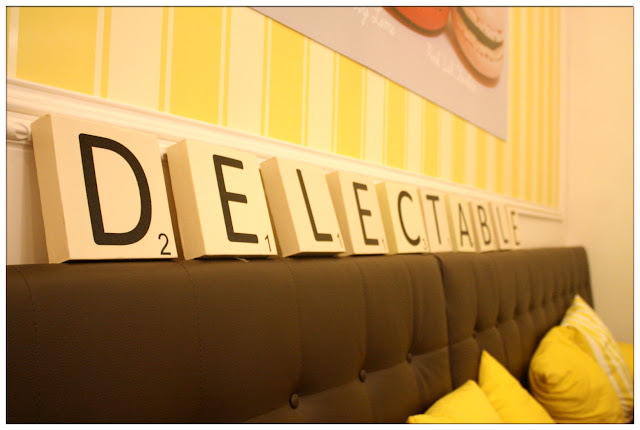 Delectable by Su isn't some strange name that pops up from no where, their distinguish reputation of fine cakes and desserts won hearts of dessert cravers. I am one fan of theirs and my pick will always be the 7 sins of Chocolate. 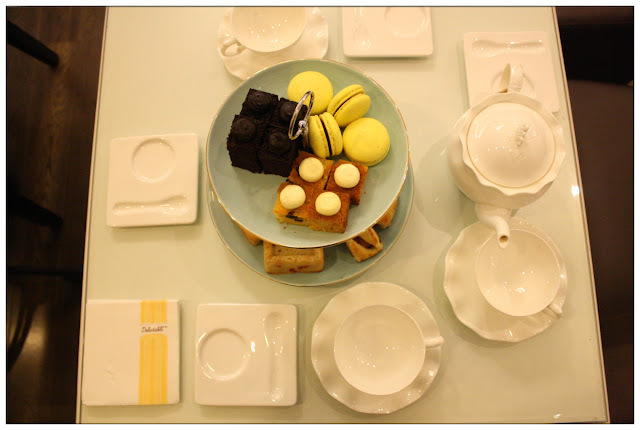 In conjunction with the tea party, Delectable by Su sponsored their Afternoon Tea set which at that time, has yet to be launch (means you can get your afternoon tea set at Delectable Treats at Paradigm Mall outlet now!). 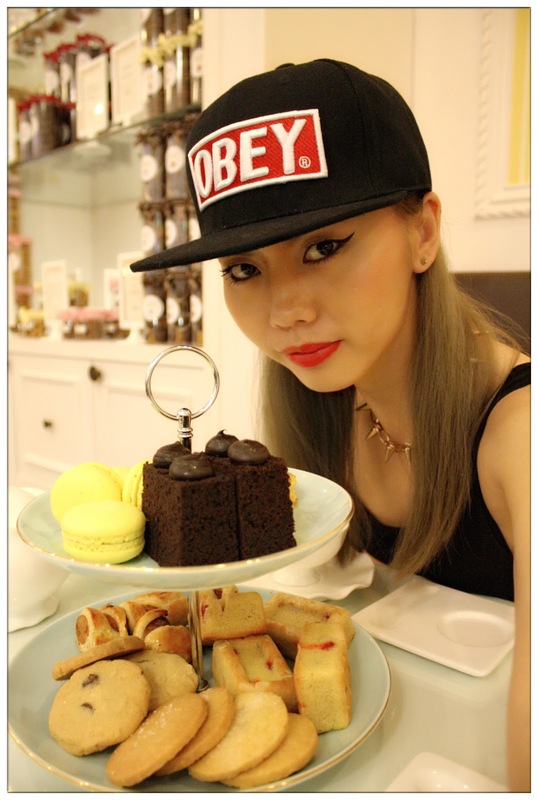 And Oh-Em-Gee that their afternoon tea set consists of delicious macarons, cakes, cookies and aromatic tea. Afternoon tea set for 2 is absolutely enough to fill tummy of 4 person. 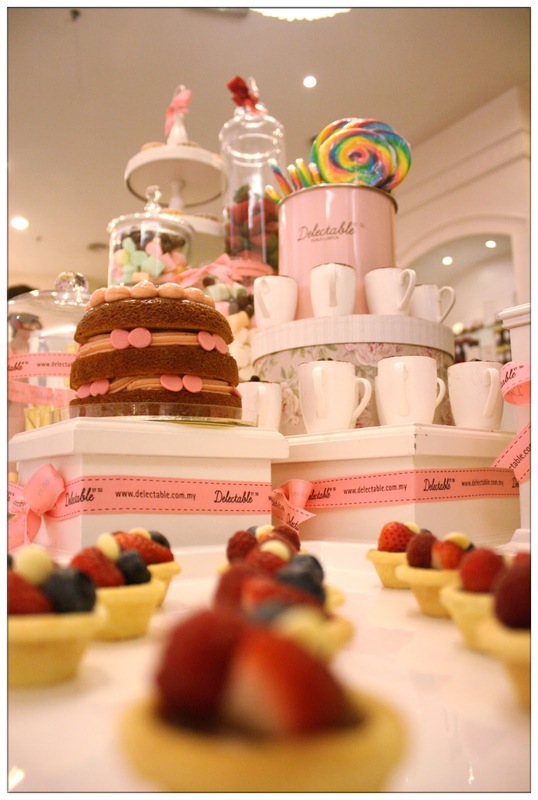 Chocolate cake and macarons are what I love most! 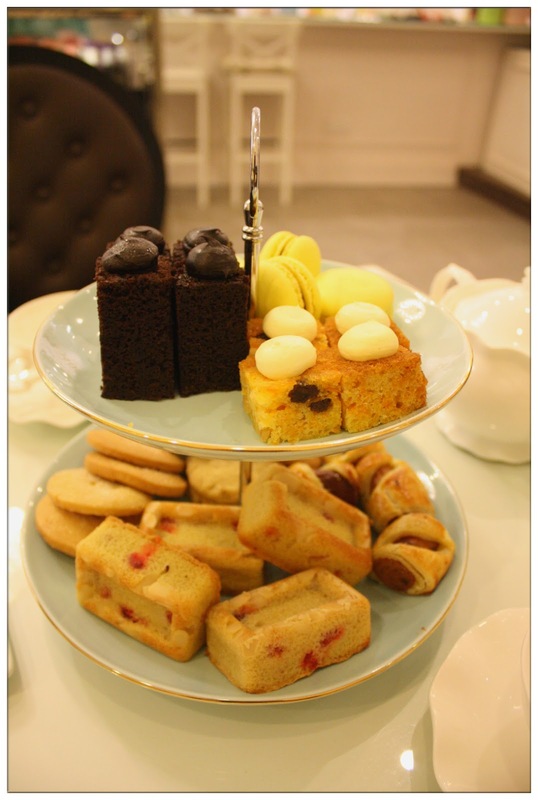 Call 03-78875157 for booking of the afternoon tea set as limited set available. 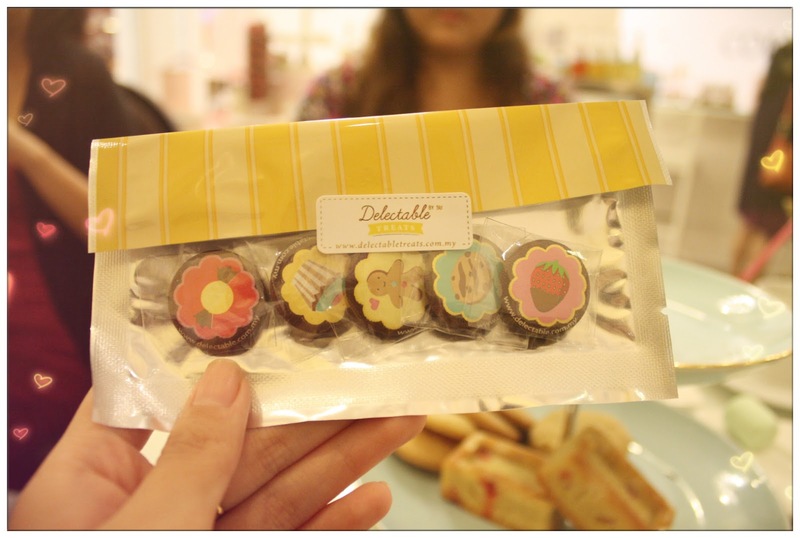 Whenever you pre-book an afternoon tea set, you'll get a cute limited edition fabric button badge from Delectable Treats! There are 5 designs to be collect! Cute, Sweet, limited edition fabric button badges!!! Thank you cute meow meow Tammy. 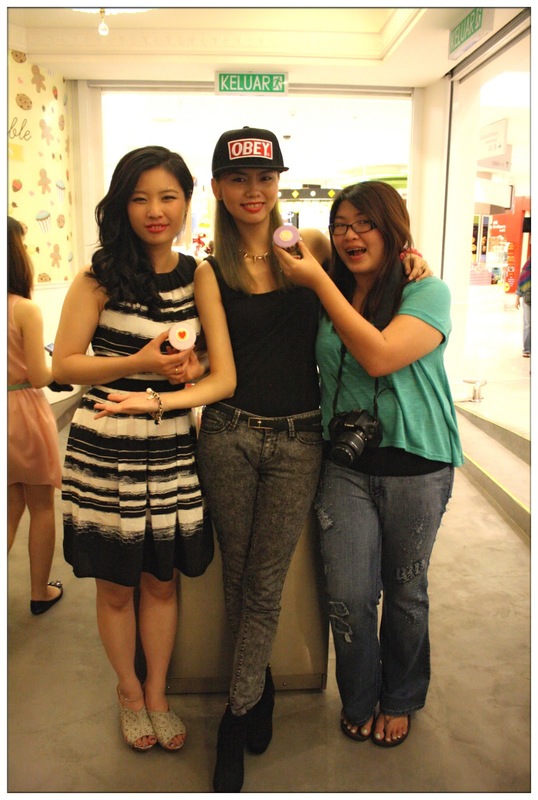 Photo with Mimi and Tammy. 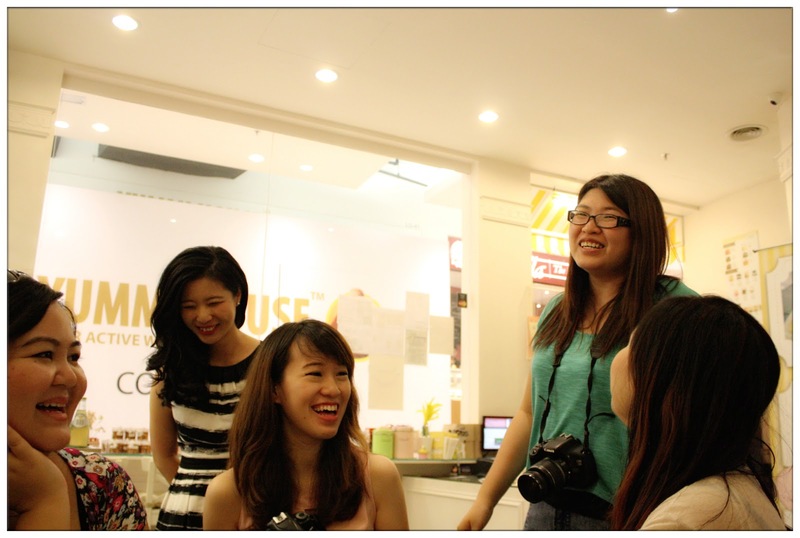 They are the superstars of the day, everyone just want to have a photo with them! Hahaha.